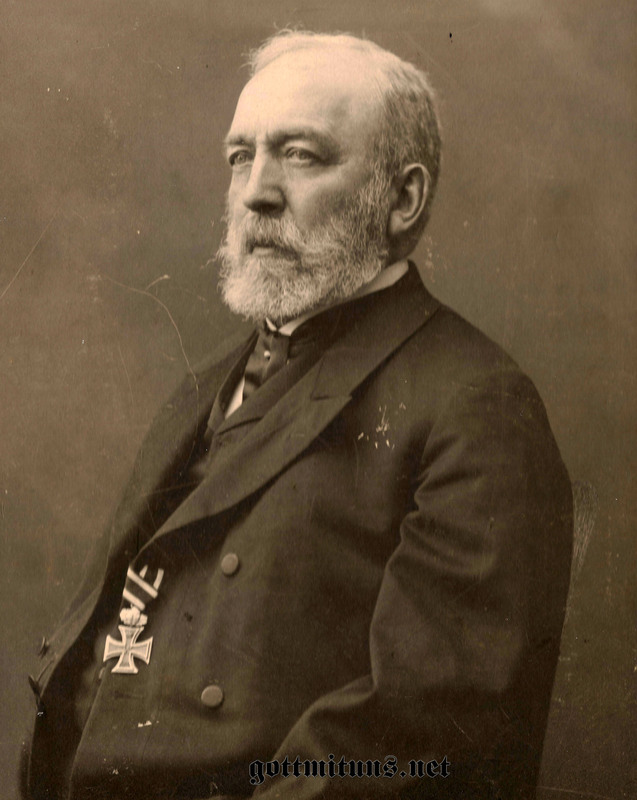 This awe-inspiring and dignified gentlemen is Oberstleutnant Georg Adolf von Schneider-Egestorf (Born in 1834 in Klötze/Saxony, died in Egestorf 1915). The large cabinet photograph was taken on his 80th birthday on the 6th of January 1914. Before 1911 his name was Schneider only. In June of that year he was raised into the Prussian nobility by Kaiser Wilhelm II and was given the manor of Egestorf. From then on his name was “von Schneider-Egestorf”. His father had served with the Royal Hannovarian Army later rising to the rank of Oberst. His name was Friedrich Schneider (born 2nd of April 1797 and died in Einbeck in 1875). The Prussian Award lists for the year 1877 list 123 officers by the name of Schneider and we are lucky that only one of them has the christian name of Georg Adolf. Number 32.377 in the list is Georg Adolf Schneider. In 1877 a Hauptmann in the“7. Brandenburgisches Infanterie-Regiment Nr. 60.”. This catalogue lists all german officers still alive at the date of print. We know that Georg Adolf was alive then and so we find him in the Prussian Rangliste (Officers lists) of 1870/1871 serving in the same regiment. 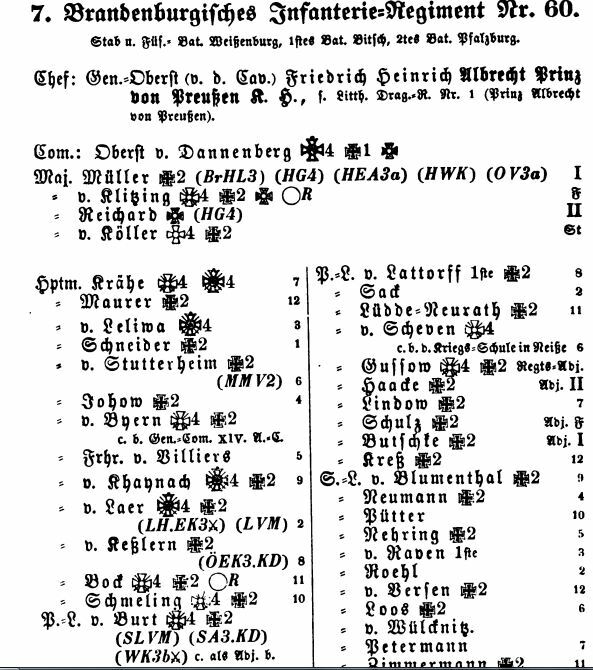 He is also found in the Rangliste of 1881, now a Major and still serving in the 7th Brandenburg Infantry. He has now been awarded the Dienstauszeichnung für Offiziere (Meritous Service award for officers). In 1889 he seems to have been transfered to another unit. In this year the lists have him as Major in the “1. Thüringisches Infanterie-Regiment Nr. 31″. By then he had also been awarded the Knights Cross 2nd Class of the Royal Hannovarian Order of Ernst-August (Ritterkreuz des königlich Hannoveranischen Ernst August Ordens 2. Klasse). Quite interesting as the Kingdom of Hannover didn’t even exist anymore but its King (living in Exile) continued to hand out awards. So far I have not been able to trace him in any earlier lists, as his father was a Hanoverian officer, it might well be that Georg served in the Hanoverian aswell and only joined the Prussian Army after 1866. Still a bit of work to do here.